5004 Scenic View Drive: This completely renovated 3BR/2BA home has all the charm and upgrades in an open floor plan! 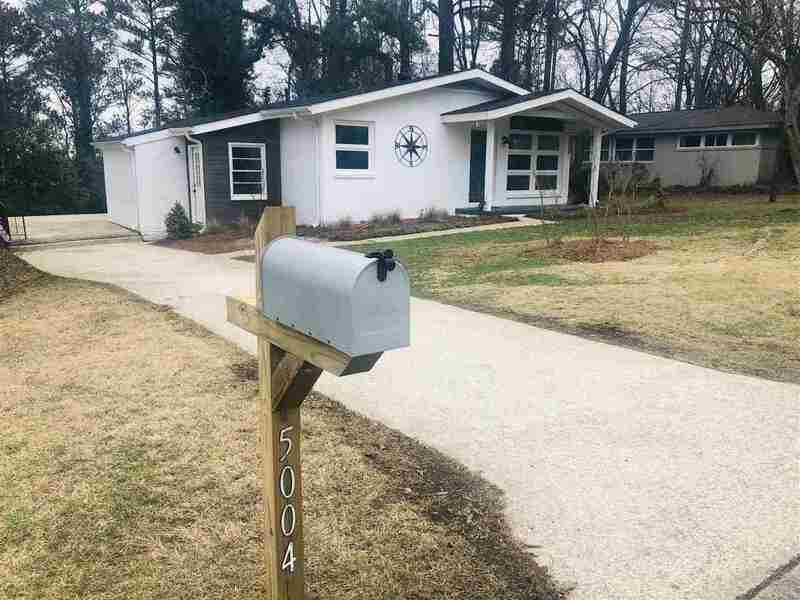 New 30 year roof, new HVAC, new heat pump, new water heater, completely updated kitchen with granite countertops and stainless steel appliances. Custom kitchen island with granite and seating space. The home also features beautiful hardwood floors throughout and upgraded recessed lighting and fixtures throughout. The luxury master bath with an all tile shower is a must see with a barn door entry. Newly landscaped yard with fenced backyard with access to the Flora Johnson Nature Preserve. Driving Directions: From Hwy 280, Take Cherokee Road To Old Leeds Rd.turn Left Onto Old Leeds Road. Turn Right Onto Old Leeds Lane. Turn Left Onto Wilderness Road. Turn R Onto Sharpsburg Drive. House Is On The Left.